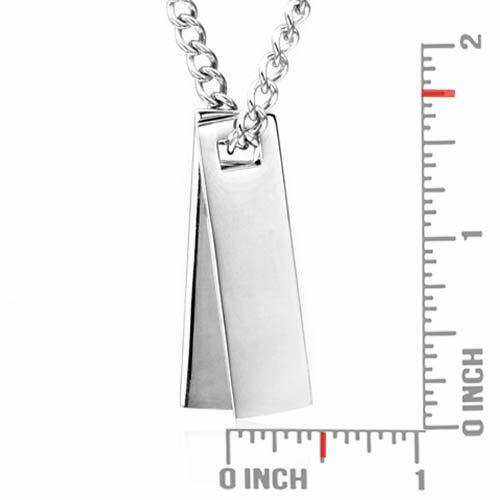 Weight: 1.05 oz. 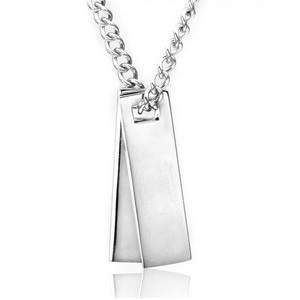 / 30 g.
This stainless steel double dog tag comes with a 20 inch chain. 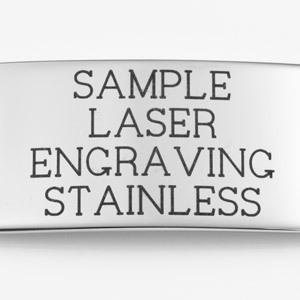 Engrave both sides of the stainless tags. 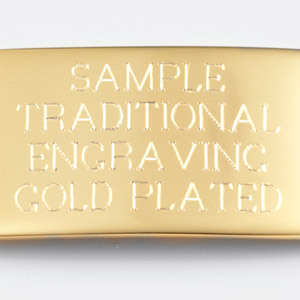 Engraving will be done in landscape. 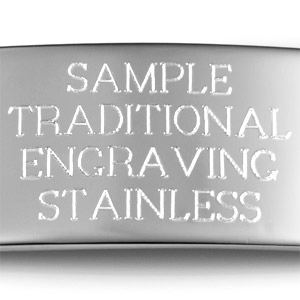 For engraving options, Front tag is labeled Charm1. 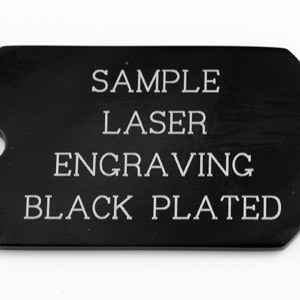 Back tag is labeled Charm2. 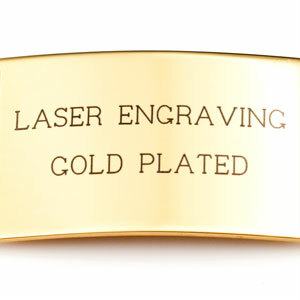 If you add a symbol, please note where it is to be engraved in Special Instructions. Also, choose less characters if you are combining a symbol with text on the same side. Symbols force text to be smaller in the same area.